It’s playoff season- and by playoff season, I mean FOOTBALL. As you may have heard, there are only two teams left and they’ll be facing off in the biggest game of the year! Luckily, January is #NationalSlowCookerMonth, so you can start perfecting your game day grub as you prep for hosting or attending a viewing party. 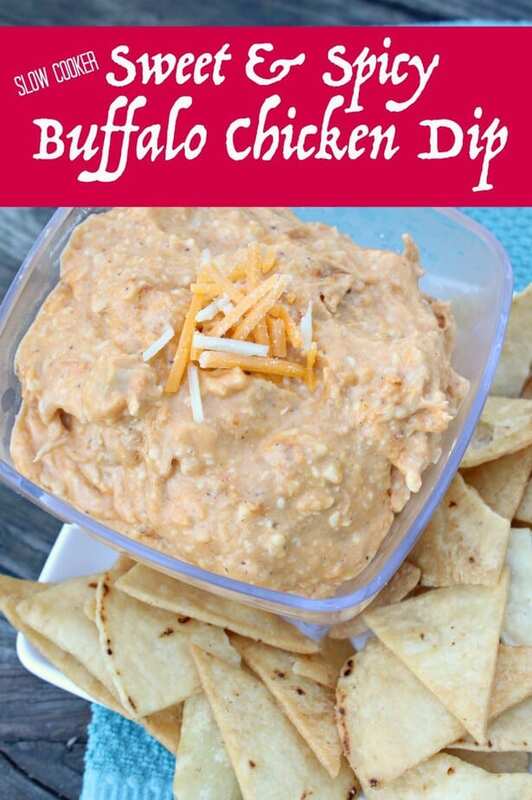 To get you ready, I am excited to partner with Pepto-Bismol to share a touchdown-worthy slow cooker recipe for Sweet & Spicy Buffalo Chicken Dip! Even if your team isn’t in the big game, you can still enjoy delicious foods while you watch! 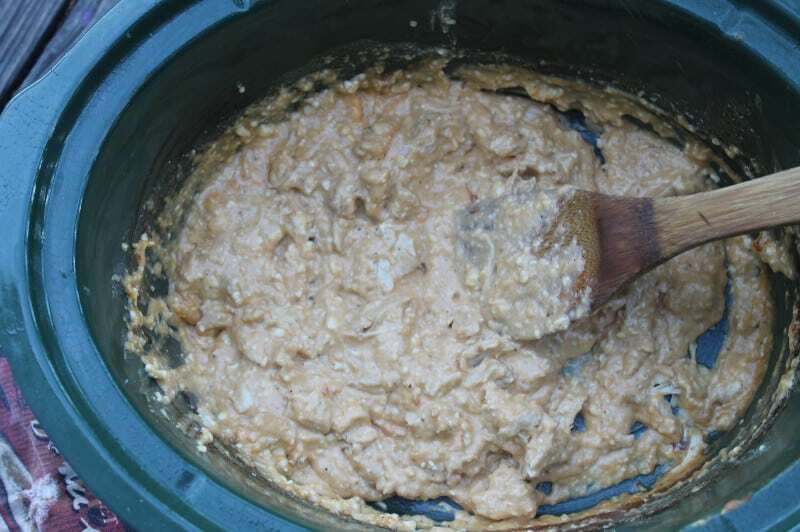 Coat the inside of your slow cooker well with non-stick spray. 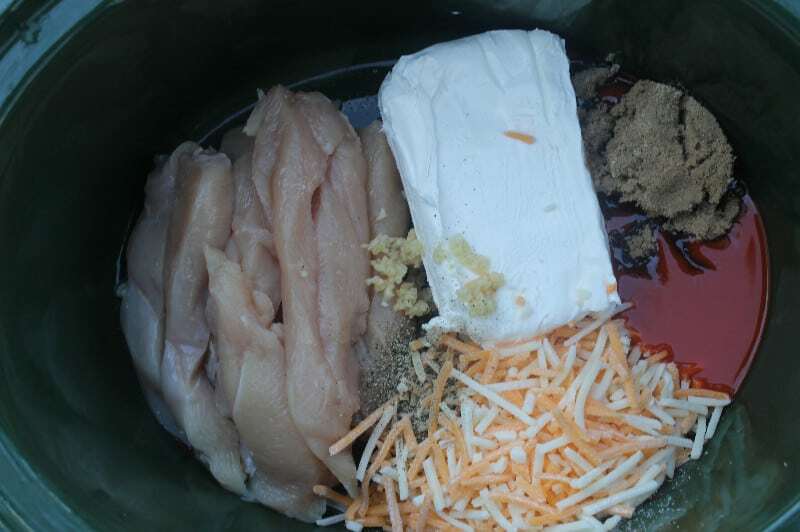 Place all ingredients in slow cooker except for ranch dressing. Stir ingredients thoroughly, cook for 2-3 hours on low. Shred chicken with two forks, stir in the ranch dressing and mix everything well. Transfer to a bowl and serve with chips, pretzels, crackers, carrot sticks, or celery sticks for delicious snack that will have all the food fans – and football fans- cheering! What are your fave game-day goodies to eat? You can indulge in your football food fantasies with the relief of Pepto-Bismol close at hand to combat the food that doesn’t love you back! For those game days when you happen indulge a little (or a lot) – keep some #PinkRelief handy for yourself and your guests! Grab your money saving coupon here! This dip sounds great! Tis the season for lots of spicy foods and Pepto! We love dips for snacking. I can’t wait to try this. We love buffalo dip! It’s a perfect game day appetizer! This is a huge favorite of ours during Super Bowl season! I’m adding this to our meal planning list! This looks like it’s a huge hit during the playoffs! 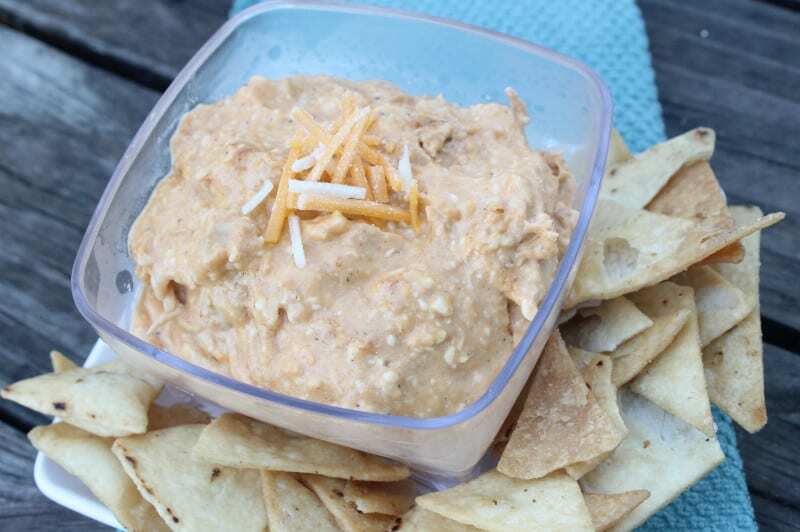 I know some football lovers that would go crazy for this dip! I love recipes for my slow cooker. This looks so easy and yummy! We love dips. This will be great for the super bowl. My family loves dips. I am always looking for new slow cooker recipes to try. My hubby and I love dips like this. They are perfect for snacking. I LOVE buffalo chicken dip! I’ll have to try your recipe! !